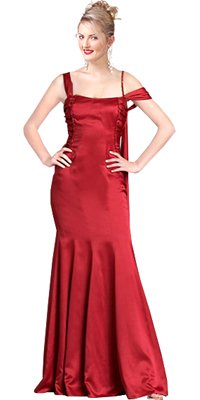 Crimson satin gown with stripe beaded and the gathered shoulder straps; off-the-shoulder left strap with sash. Camisole neckline. Pleated, ruched side with trim. Long, flared hem. Draped back with skinny strap.